Kabul is the capital of Afghanistan and is a swiftly developing city when the political stability has paved its path in this city. It is becoming really promising in terms of tourism. The city boasts about itself for an array of attractions that have been provided just for you. Being recognized as the city that is rich in culture and tradition, you can take a leisure walk in the streets of Kabul that will acquaint you with its history. If you are planning a visit to Kabul, you can get some of the best deals on cheap flights to Kabul. You can find myriad attractions in the city that overwhelm the travellers with their charm. Some of the prime tourist attractions that play a crucial role in catching the attention of the tourists are gardens, museums and mosques. You will find so many visitors travelling to Kabul every year so that they can feel the beauty of these attractions. You can come across innumerable attractions such as Afghan National Museum, Kabul Zoo, Babur Gardens, Darul Aman Palace, Bagh-e Zanana, Bagh-e Bala, and the list goes on. You can get your hands on the finest deals from Carlton Leisure on economy class flights to Kabul starting from only &pound757.17 GBP. You can get a return economy class cheap flights to Kabul for 2019 and 2020 from £757.17 including all pre-payable taxes and charges. 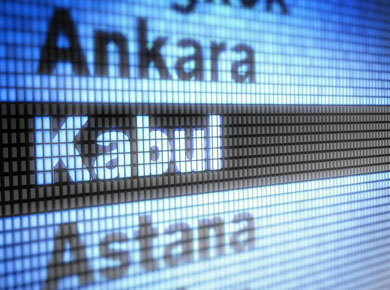 Amazing deals on First and Business class available for tickets to Kabul. You can easily find best deals on air fares to Kabul on www.carltonleisure.com, however if you don’t find anything what you are looking for then our experts are more than happy to assist you by offering solutions to all your travel needs. Are you looking for accommodation in Kabul?